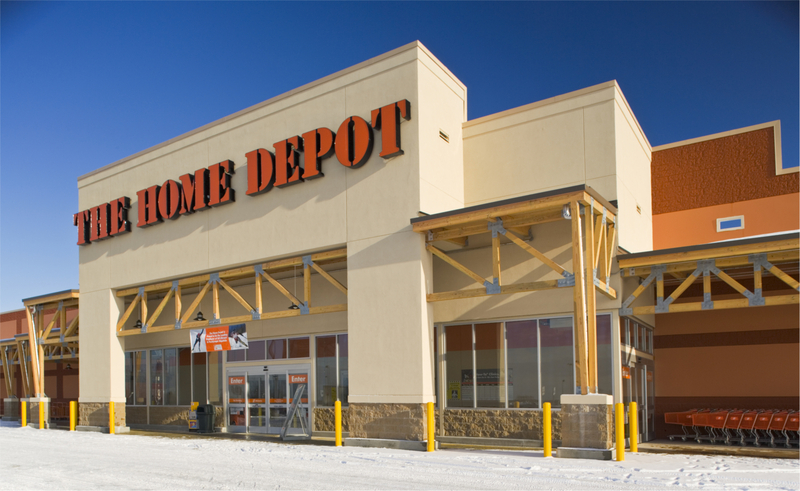 This South Anchorage Home Depot store was a fast-track project. 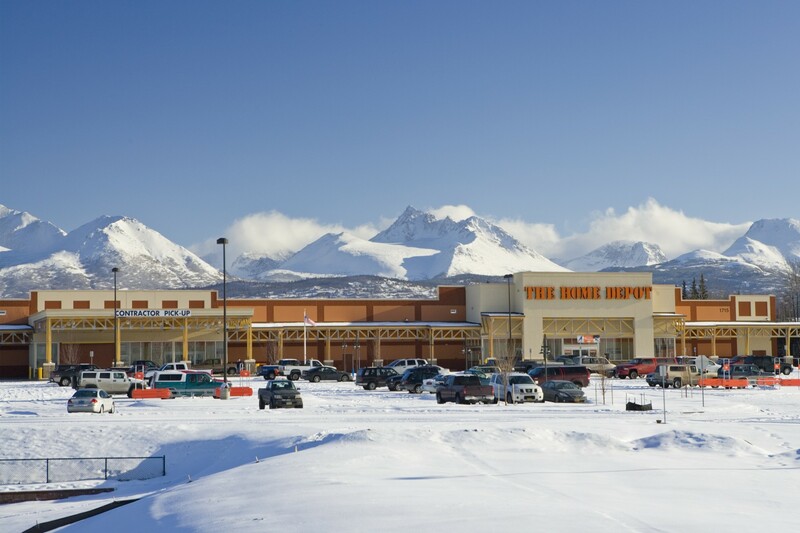 The property is contiguous to a Safeway Store, so NCI, as the developer, had to meet Safeway’s requirements for access and appearance in addition to Home Depot’s criteria. The assemblage of property started in late 2002, with the first purchase of land in July 2003. More land was added in late 2003 and 2004, and the final parcel was acquired and closed on April 11, 2005. Before construction could begin, the 14-acre site had to be leveled. Some 85,000 yards of Type 2 fill was used in preparing the site. This process took 30 days and construction of the building commenced on June 1. The 127,809 sq. ft. building includes 96,516 sq. feet of sales area, 6,439 sq. feet of receiving area, 10,674 sq. 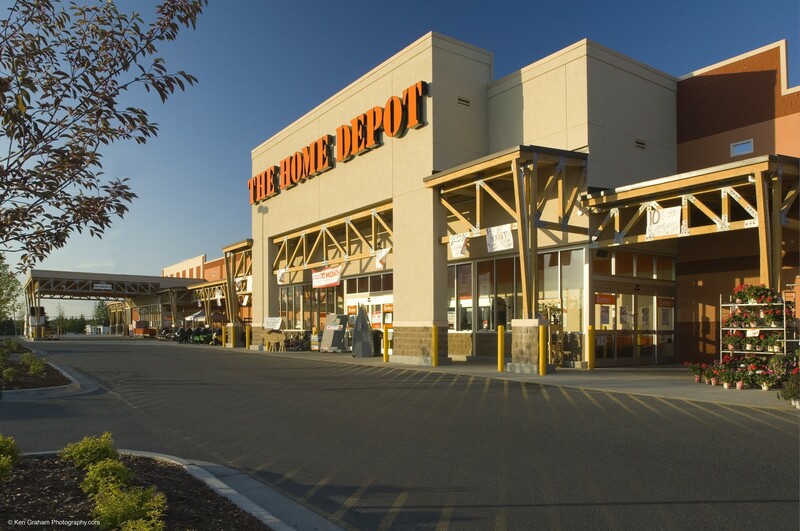 feet of garden center, and 14,180 sq. feet of building material/storage area with a tilt up concrete exterior facade and a steel roof. 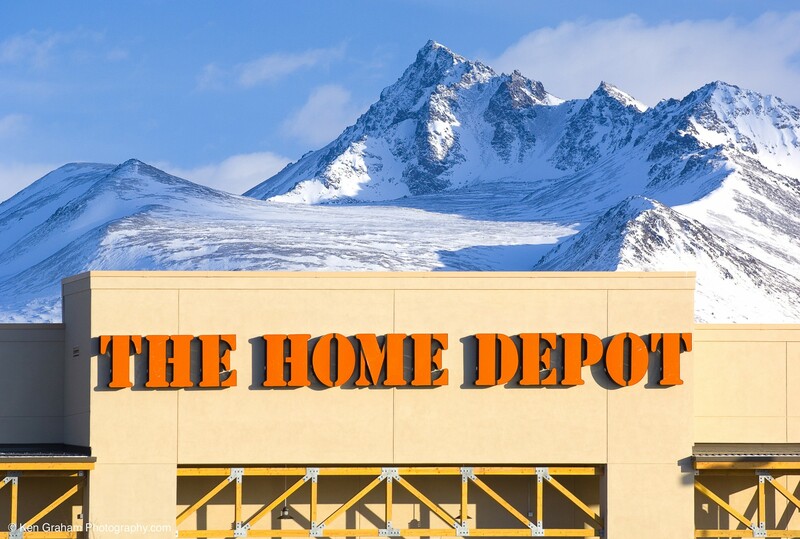 The building was turned over to Home Depot on October 31, 2005, and was opened for business on December 8, 2005.